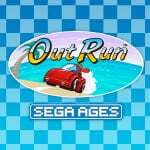 While we wait for Sega AGES release of Out Run on the Switch eShop here in the west, why not take a moment to watch the beautiful Japanese overview trailer that's just been released. It highlights the exotic locations within the game and the magical soundtrack. Otherwise, if you know how, you can always buy the game right now from the Japanese eShop for 999 yen. The menus and settings are all in English as well. Locally, Phantasy Star arrives on 13th December, after experiencing multiple delays. Out Run, unfortunately, won't arrive until some time early next year. If you're looking for an alternative fix, Horizon Chase Turbo has been released locally. Although it's more comparable to Top Gear, it should be more than enough to satisfy any speed demons out there. Can you hold out until next year after watching this video, have you already bought the Japanese eShop version? Tell us below. @klingki If it makes you feel better, I had no idea until said it on the forums. At least you were able to figure it out yourself. This is one of my favourite games of all time- and this version appears to be the real deal! Ha ha i love how they've altered the car. @RetroBillyT I did this as well. Worth noting it's all in English, so there are no issues navigating menus and changing the settings. The smoothing option is amazing, IMO. It is super-subtle, not overdone, pixels are still sharp but not really. It's perfect! (I'm playing docked on a 42" Panasonic plasma) Can't wait to get home and play some more! And the Megamix track is pretty rad, I gotta say. My only gripe is you can't assign the ZL/ZR buttons at all. Oh, and the motion controls lock you to automatic transmission? I didn't get a chance to try it, but I'm not looking forward to it. The way I see it, shifting is absolutely necessary to get the best scores. Couldn't hold out, had to buy from the Japanese eshop xD. @Medic_alert I’m definitely old enough, I just grew up staunchly on the Nintendo side of the console wars, so I never really paid any attention to Sega. I guess I either missed those advertisements or just don’t remember them. @Alucard83 Ahhh but did you know that SIMPLETON is NOTELPMIS backwards...?! Love M2 so much, I’ll be grabbing all the SEGA AGES titles, far more excited in them than the genesis classics collection. @telepathy2000 Same here, quality over quantity. I used the J eShop for Punch-Out!! (released a week earlier) and I’ll do it again for OutRun. My top 2 arcade titles FINALLY on my Nintendo. Woo-hoo!! Eye cancer and epileptic seizures caused by flickering graphics of aged pixel games of the 90s. That´s 2018. Horizon Chase Turbo is fantastic, but I still can't wait to pickup OutRun once it launches in the US too. I don't need to pretend, I already bought it from the JP eshop. It has the new tunes from the 3DS version along with some other added tunes, including a new version of Step on Beat! I tried out motion control earlier, no good. It goes off center frequently. Found out the ZL/ZR is used for re-centering (much like Splatoon). I usually have to wait until the straight sections before the junctions in order to re-center because it's too iffy to do it during the stage. It feels good when it does work, though. @EasyDaRon This version runs at 60FPS. Troll harder next time.